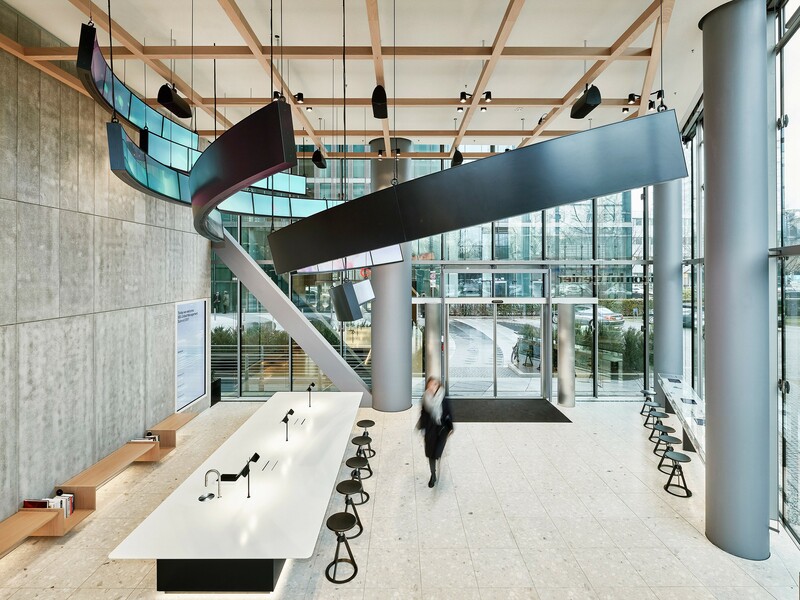 In December 2015, IBM announced it was opening a new global HQ for its Watson Internet of Things business for customers looking to transform their operations using a combination of IoT and Watson cognitive technologies. 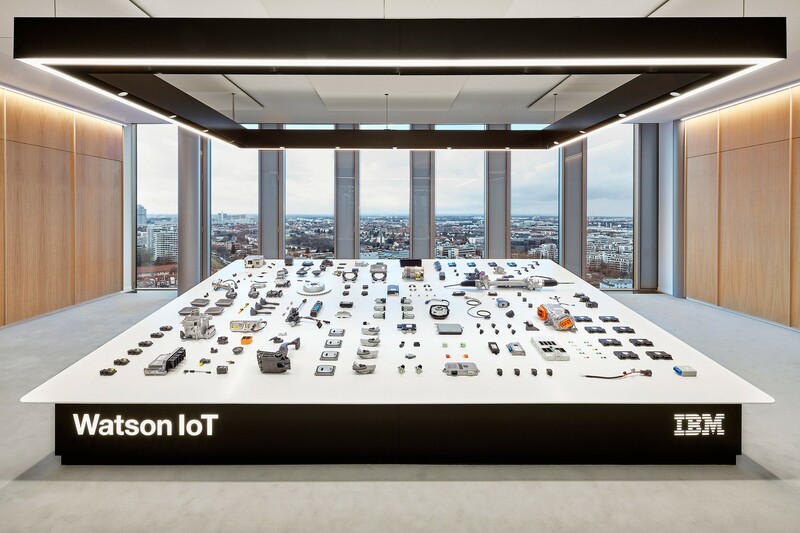 IBM’s Watson IoT Headquarters is located in the Highlight Towers in Munich. 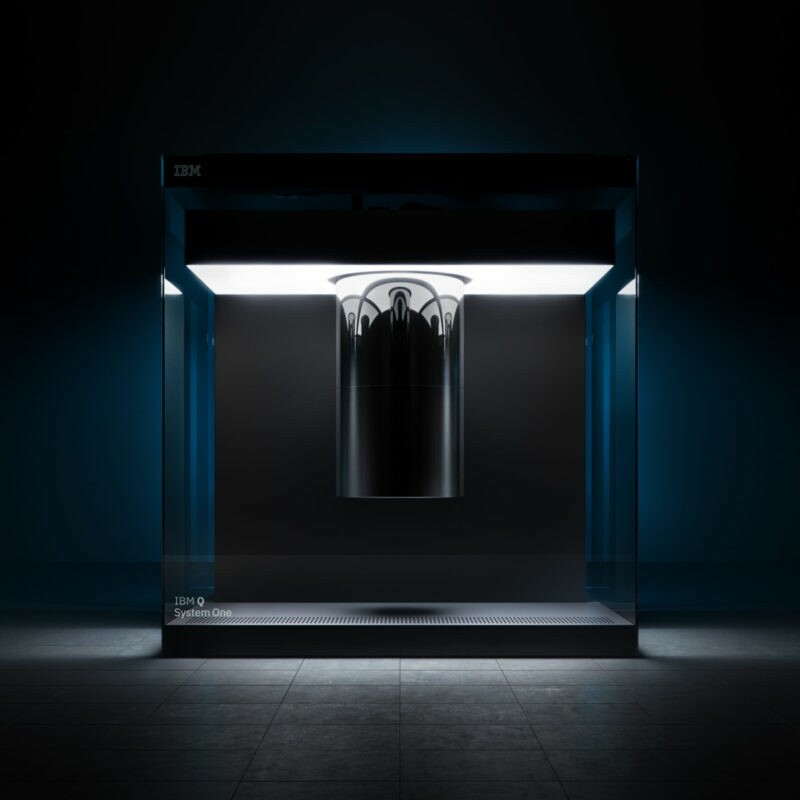 An investment of over $200M has been made into the Center, it will home over 1,000 IBM employees, shared laboratories with IBM clients as well as client experience zones. 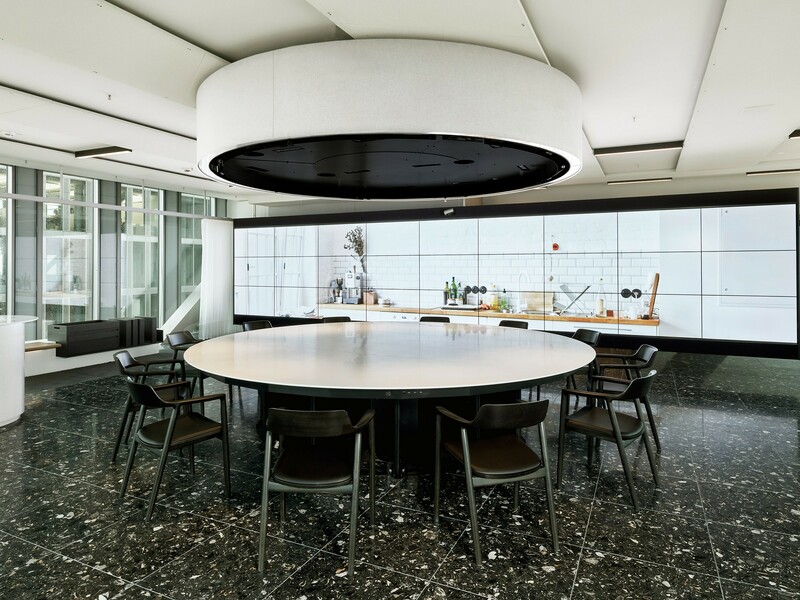 The creative brief for the project was to develop the design, architecture and experience for the ground floor Lobby and 20th floor Client Experience Zones to showcase Watson IoT technologies, present case studies and co-create with clients. 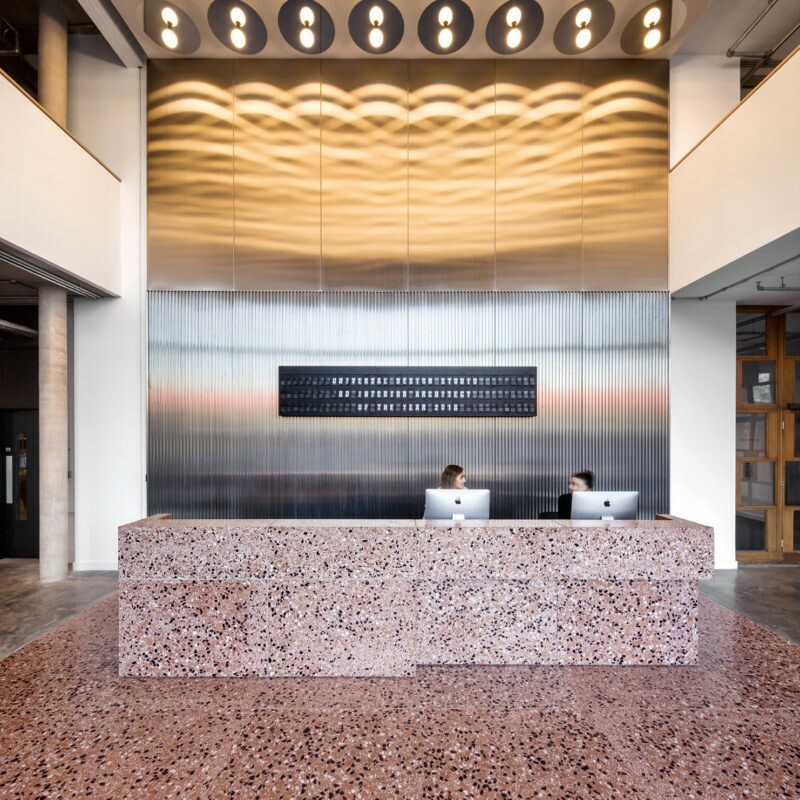 The Lobby and Client Experience zones cover an area of 2,250 square meters and the ambition (which was achieved) was to develop the design, architecture and experiences and complete construction in one year. 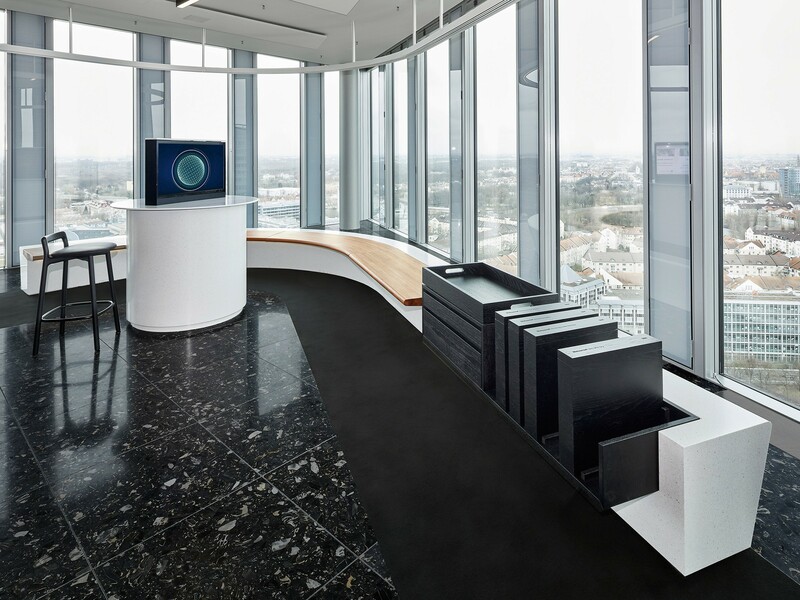 The creative team developed a new design language to represent IBM Watson IoT and an approach to explaining the complex nature of cognitive computing and the Internet of Things using physical installations and experiments rather than over-use of screens. 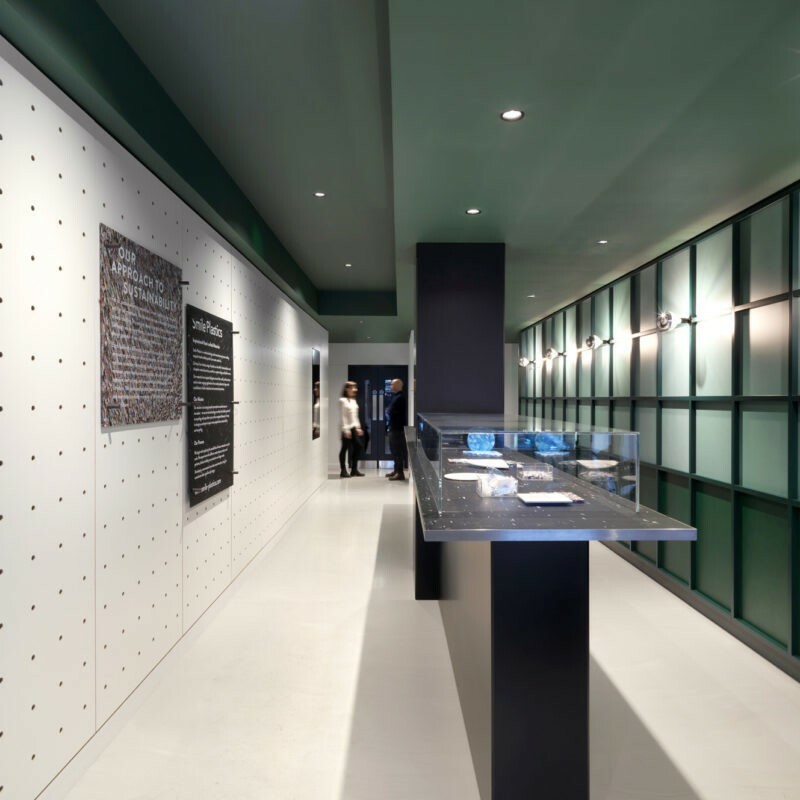 Digital themes like light & scale, multiples and granularity are embedded in the architecture determining material choices like black and white terrazzo, timber panels, concrete and machined Corian. 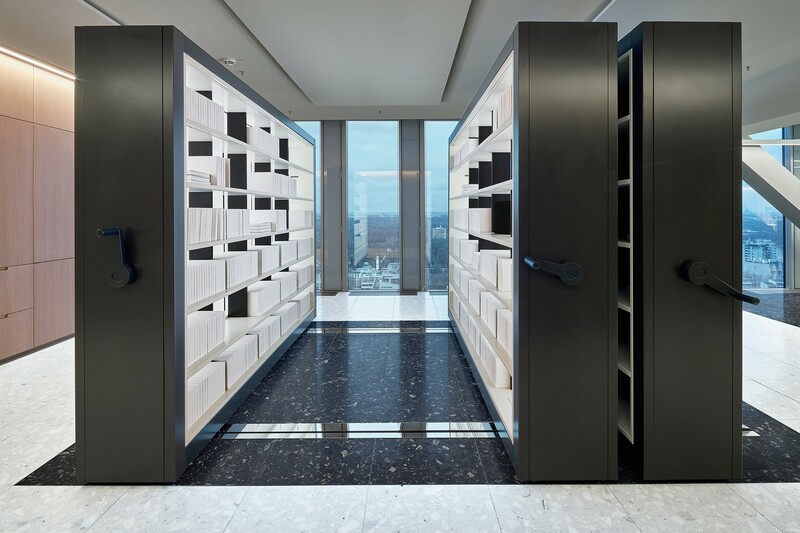 Server rooms are left visible to show the technology driving the experiences communicating transparency and openness. 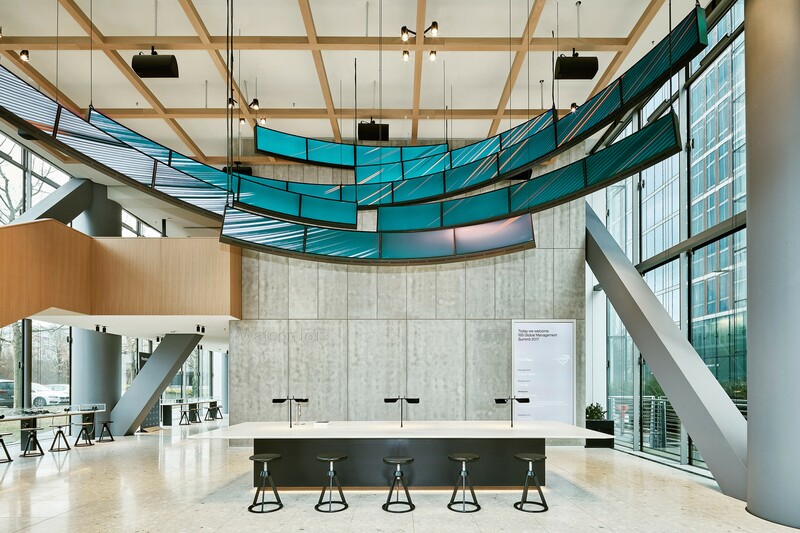 Careful lighting and natural material choices provide a warm premium environment for presenting and discussing Watson IoT technology.